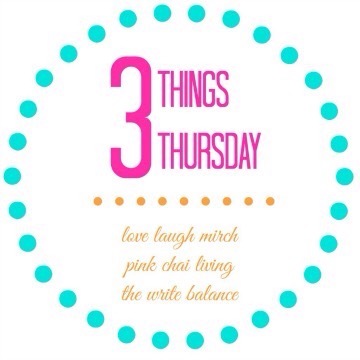 It’s Thursday and I’m back after a bit of a break and linking up to my favourite weekly linkup: #3ThingsThursday! As usual, this linkup is hosted by Salma over at The Write Balance, Raj over at Pink Chai Living, and Nisha over at Love Laugh Mirch. Make sure to check out what these talented women are up to in their posts and also to check out the other bloggers linking up this week. on by Beach House Theatre in Crescent Beach (Surrey, BC). Little Bear and I had a chance to attend a performance recently and both of us really enjoyed the whole experience. For Little Bear it was his first experience with live theatre, and while he was a little surprised by it at times, overall he really enjoyed being able to see some of the stories he loves come to life. Little Bear has an incredible love of books, and I would love to also pass on an appreciation for theatre and the arts. You can read my full post about Munsch Upon A Time here. I’ve always been a great sleeper. Show me a bed, and I’d be asleep before you could say “good night!” But man, has this pregnancy been rough in terms of sleeping! It’s gotten worse more so now, when I can’t quite get into or out of bed without thinking of Humpty Dumpty. Lately, I’ll be sitting up in bed reading or doing some work, when I start to feel sleepy. As soon as I lay down, the insomnia hits. It takes hours to get back to sleep and when I do, barely any time passes before I have to get up! It’s been a rough week, sleepwise. Makes me think of the best advice that I got when I was pregnant with Little Bear: “sleep. When you think you’re done sleeping, sleep some more. Take as many naps as you can, because pretty soon, you won’t be able to!” This advice from one of my sisters wasn’t intended to be negative or pessimistic, but to prepare me for the crazy few months of having a newborn. Little does my sister know how I actually do often think back to my lazy napping self and feel content that I was able to enjoy a full night’s sleep and take multiple naps through the day! How much do you schedule your child’s daily activities? When it comes to Little Bear’s daily routine, I fall in the middle ground in terms of scheduling. Do I plan everything in meticulous detail? Definitely not! Instead, I love to keep us busy, planning classes, outings, and visits with family and friends around meals and my work schedule. 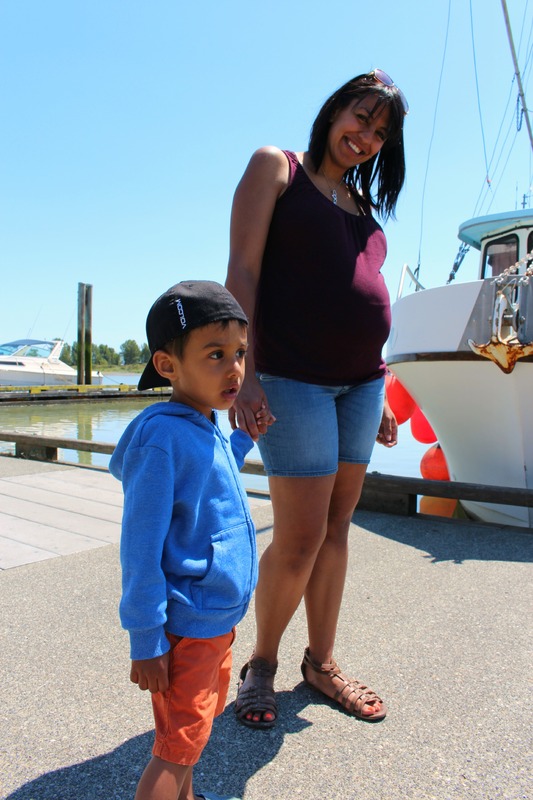 With baby due in just 6 short weeks, however, I decided to take August “off.” In other words, no classes, just going with the flow, and having a few basic ideas of what I want to do in the day. I thought it would be a wonderful way to spend quality time together. Since day one Little Bear and I have kept ourselves busy – sometimes too busy! We love being out of the house and especially love signing up for new and interesting classes. There’s rarely a day where we just stay home and do nothing. No schedule this month was intended to give Little Bear time to explore and do the things that he wanted to do. No rushing to the next class or activity. Spending as much time doing an activity as we wanted. As you can guess from my tone, this isn’t exactly how things have turned out. With no schedule and no rushing, Little Bear has been far less satisifed and less motivated throughout the day. On one hand, Little Bear would love it if he could play with trucks all day, and on the other hand he’d much rather be switching up his activities more often. What this has meant is that my month of relaxation and turned into the month of an unhappy toddler. *sigh* Luckily it hasn’t taken me long to realize that Little Bear doesn’t do well with this “no-routine routine” and it’s been quickly abandoned! Does your child enjoy more structure or more free play time ? How do you balance both? 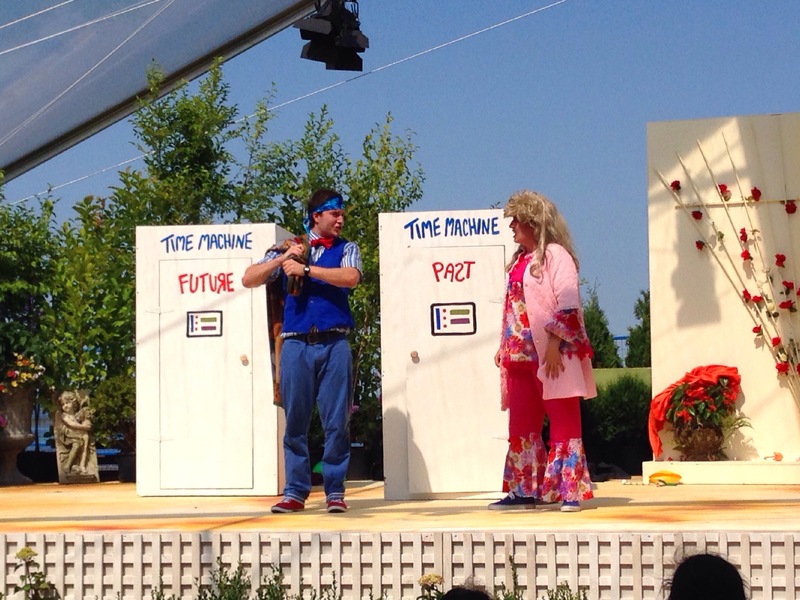 Munsch upon a time sounds great, I’m definitely going to look into it for the kids! And we are like you too, we try and do something each day when we can! Happy to have you looked making up! That should say happy to have you linking up, lol!